“My mom always told me that I had a ‘block’ in my Throat Chakra,” I said, repeating a story that I had known since childhood. It was Vishuddha day - 5th (throat) Chakra day at my 500-hour yoga teacher training in Bali, Indonesia. We were coaching one another through the chakras, day by day, and Vishuddha was the chakra that I had always thought to be my weakest. “How much space are you comfortable with taking up in relationships?” my partner asked. Wait, was that true? What a scary thought, but yes - it was. I thought about my most recent relationships - a work relationship, friend relationship, and romantic relationship. There was a clear and common theme - all of these people had big personalities, talked a lot, enjoyed being the center of attention. While I’d just sit by, watching, listening, nodding. Feeling somewhat small, but comfortable. I had noticed though, that over the last year this had been shifting, I had begun growing out of my old way of being, growing out of these relationships. I got dumped (a devastating blessing in disguise), quit my job, and had a very strange and painful interaction with my friend right before coming to Bali. ‘Playing Small’ is a term often referred to in coaching and self-help books. 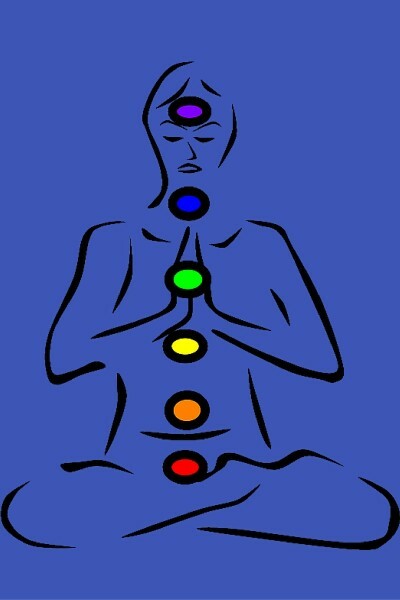 Even though the 5th Chakra’s element is space, I had never connected it with taking up physical or energetic space, with ‘Playing Small’, and my partner’s question was a revelation. Now that I was here in lush Bali, surrounded by a group of supportive women, I was allowing myself to shine bright, to be big, to be magnificent, to take up space. And I was connecting even more deeply with my desire to help others do the same in their own lives. Wow. Another re-frame that completely shifted my perspective, took the weight of being ‘blocked’ off my shoulders, and wrote a new story in its place - one in which everything was exactly as it should be, and I was learning and growing at the perfect pace and time. I’m always so grateful when someone reminds me that everything is actually OK, that the self-judgements or harshness I’ve made up actually have no basis in reality. Are you doing all you can to support yourself? Larkin Goff is a Life Coach and Yoga Teacher who is living her magic on the beautiful island of Maui. You can connect with her through her website, www.blissadventure.com.